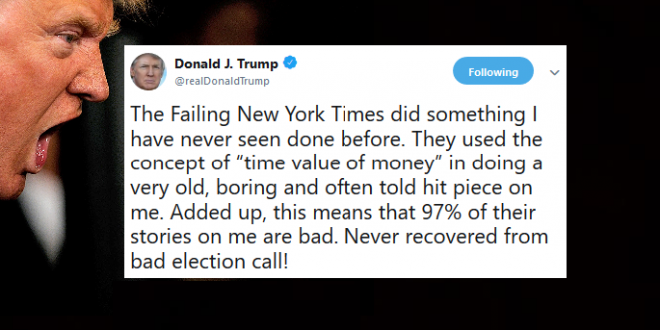 Trump Mocks But Doesn't Deny "Boring" NYT Exposé - Joe.My.God. The president’s lawyer signaled in a statement the possibility of a defamation lawsuit “should the Times state or imply” that he engaged in “fraud, tax evasion, or any other crime,” but one of the reporters who broke the story, Susanne Craig, is “not at all” concerned about the warning, she told “Good Morning America” Wednesday. Trump mocked the report Tuesday morning, calling it an “old, boring and often told hit piece” in a tweet.